Deb is passionate about partnering with both senior leaders and top teams to strategize around how they can best create value. With 30 years of Fortune 500 P&L as well as consulting firm management under her wings, Deb believes that businesses sustain greatness over time when their leaders develop the ability to focus on the balance of operating mechanics and leader dynamics. She has spent much of her career building the case for top team development as the key to consistent high performing organizations. Examples of how Deb’s clients have engaged her include strategy work that includes how to derive value from an authentic corporate social responsibility stance, crafting the plan to effectively communicate and cascade strategy, coaching key leaders from all sectors and functions, identifying successors and developing plans to prepare leaders for C-Suite roles, developing/implementing comprehensive organization effectiveness/leader development initiatives, building real teams up and down and across the business and advising leadership teams and Boards that seek a higher quality relationship and improved governance. . 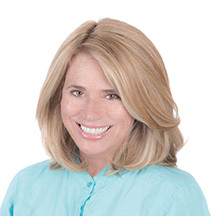 Prior to founding Chelsea C-Suite Solutions, Deb was partner at Axiom Consulting Partners, a strategy alignment firm and co-founder/CEO of Innolect, an organization effectiveness firm. She has experience as a manager logistics (Firestone), executive director strategy (Motorola), senior director operations (Entergy Corp), SVP HR and OE (TVA). .
Deb has an MSOD from the Graziadio School of Management and Leadership, Pepperdine University. She is also is a graduate of the Harvard Business School program, “Leading Complex Change,” and the Wharton initiative on “Creating High Performing Enterprise”. She will receive the PhD in Leadership from Alliant International University, San Francisco. Her doctoral research centers on how the behavior of those in the C-Suite impacts culture and business performance. Deb is the co-author of Shockproof: How to Hardwire Your Business for Lasting Success (Wiley, 2011).